Description: From a good friend comes this gift! Given here, your heart to lift! 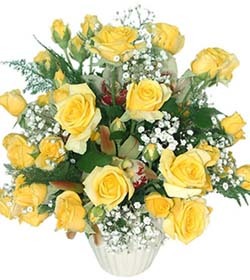 12 yellow and 12 orange roses in a basket.